Seeing as its World Nutella Day I thought it only appropriate to make a Nutella cake! Heat the oven to 160 degrees and grease and line a 9 inch tin. Add the sugar and butter to a bowl and whisk until light and fluffy. Whisk the eggs in a mug with a fork and then add them gradually to the mixture with 1 tbsp of flour each time. Make sure not to use all the flour. Add the rest of the flour and the baking powder to the mixture and fold in gently. Dissolve the coffee in the boiling water and fold into the mixture. Pour into the tin and bake for 30 minutes until golden and a skewer comes out clean. Heat the oven to 230 degrees and thoroughly grease a doughnut tray. In a large bowl, combine flour, sugar, corn flour, baking powder and salt. In another bowl, whisk together the milk, butter, vinegar and egg. Pour the mixture over the dry ingredients and fold together using a spatula. 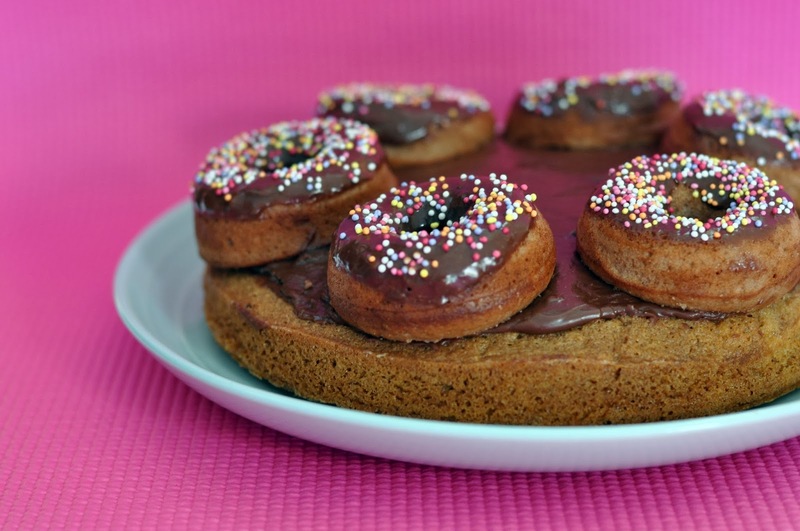 Divide batter evenly into doughnut tray and bake for 8 minutes, until golden. Stir together the Nutella, milk and icing sugar until smooth. 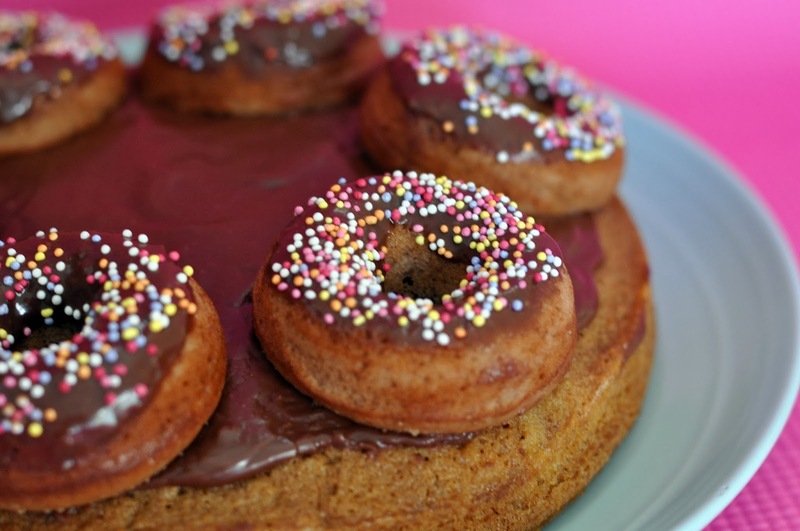 Use the Nutella glaze as a doughnut and cake topping before assembling.